New Delhi: The Union Minister for Shipping, Road Transport and Highways, Water Resources, River Development and Ganga Rejuvenation Shri Nitin Gadkari inaugurated two multi purpose berths – No14 & No. 16 at Deendayal Port at Kandla through video conferencing today. He also laid the foundation stone for the Central Inland & Coastal Maritime Technology- IIT Kharagpur. In addition to this he also inaugurated a Multi Skill Development Centres (MSDC) in Maritime Logistics under the Pradhan MantriKaushal Kendra (PMKK) programme of MSDE at Jawaharlal Nehru Port Trust. Speaking on the occasion Shri Gadkari said that all three developments are very significant for the maritime sector and the socio-economic development of the country. He said the two shipping berths at Kandlawill increase the port’s capacity by over 115 lakh tonnes. Larger ships will be able to anchor at the port, enabling handling of larger volumes of cargo. This will help lower logistics costs and bring prices down. Further, the Minister said that the Deendayal Port has been making very good progress, and along with Chabahar Port, it will play a very important role in the country’s maritime trade, giving a boost to the country’s economy. The two multi purpose berths have been constructed at a cost of Rs 280 Crore.The Optimal Capacity of each berth is 4.50 MMTPA and they are designed for vessels of size 75000 DWT Each berth has a draught of 13.0 m. The project consisted of construction of construction of a wharf of 300 Mts. x 55 Mts and development of back up area of 21.0 Ha at each berth. Both projects were completed in 22 months, that is two months ahead of the scheduled completion time of 24 months.These Multi-purpose Cargo Berths will not only add to the port capacity, but will also help in reducing the congestion in the port to a great extent. The Multi-purpose Cargo Berths No. 14 & 16 will allow the port to handle bigger ships and larger volumes of cargo. This will result in direct & indirect employment opportunities and economic prosperity in the region. Speaking about the state-of-the-art Centre for Inland and Coastal Maritime Technology (CICMT) being setup at IIT, Kharagpurunder Sagarmala programme Shri Gadkari said that the project is of strategic long-term interests for the port and maritime sector of the country.He said the centre will be a hub for latest technology tools for maritime sector and reduce India’s dependence on foreign institutions. It will also reduce the cost of research drastically and result in cost and time savings for work in the Port and Maritime sector. CICMT is being fully funded under unique and innovative projects under Sagarmalato address the long felt need for applied research and development for the inland waterways sector. At the moment there is no testing and experimentation facility available in the country for inland and coastal vessels for which the shipbuilders have to approach various European countries. 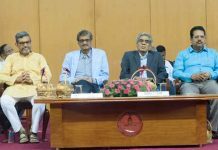 TheCICMT at IIT Kharagpur will provide technological support, research, testing and experimentation facility to the Ministry of Shipping and its subordinate offices such as Inland Waterways of India, Cochin Shipyard Limited and major ports. The cost of the project is Rs. 69.20 cr. (Capex – Rs. 61.05 cr. and Opex – Rs. 8.15 cr.). The funding for CICMT is for 5 years only and once the facility is functional, revenues generated from the end users will make it sustainable.CICMT setup signifies a major leap in indigenous innovation and cutting edge technology support to the Port and Maritime sector directly contributing to the Sagarmalaprogramme and support ‘Make in India’ and is based on close collaboration amongst government, academic institutions and industry to make applied research relevant to day to day ground work in the port and maritime sector. 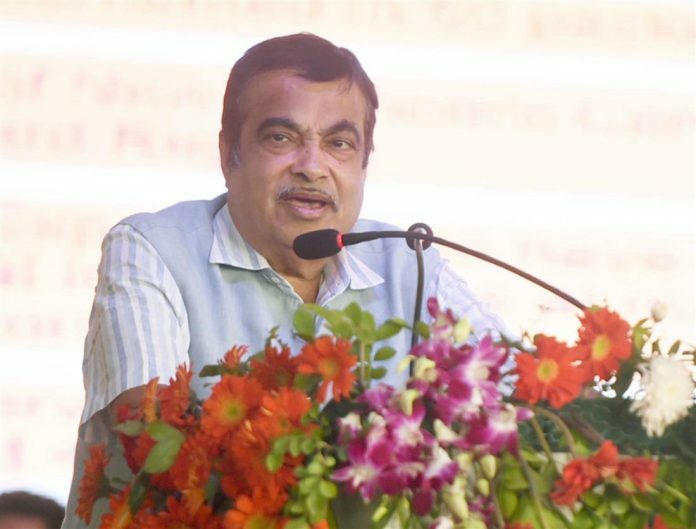 Talking about the Multi Skill Development Centres (MSDC) in Maritime Logistics being set up at JNPT, Shri Gadkari said that the centre will provide skill development in Maritime Logistics and placement to over 1050 students per year in Port and Maritime sector. This is a step towards achieving 100% skilled manpower at all Major Ports and will ensure that local people are able to truly reap the benefit of development in their areas. The key training areas at the centre are warehouse management, consignment and tracking, inventory management, EXIM trade documentation and other related courses in the maritime logistics domain. The physical infrastructure has been provided by JNPT and CIDCO and the centre will be managed and operated by the reputed logistics company AllCargo Logistics Ltd. The Multi Skill Development Centre at JNPT will meet the upcoming skill manpower need in the surrounding areas. .Three major projects namely, the SEZ which is supposed to pre-dominantly be a logistics hub, the Navi Mumbai International Airport which would provide opportunities in fields as diverse as cargo handling and hospitality, and JNPT’s new terminal – the PSA Bharat Mumbai Terminal, will see a demand for highly skilled logistics manpower. It is expected that the trainees trained in MSDC can provide skilled manpower for these projects and beyond. The financial support in form of a soft loan of uptoRs. 70 lakh for lab setup, and funding requirement for training has been provided by Ministry of Skill Development and Entrepreneurship through their schemes Pradhan MantriKaushal Kendra (PMKK) and Pradhan MantriKaushalVikasYojana (PMKVY). The job roles for training will be as per sectoral and locational needs and will be aligned to the National Skill Qualification Framework (NSQF) of the Govt. of India. The MSDC model is also being replicated in other ports in the country. It is likely to be taken up at Chennai Port, Cochin Port and Vishakhapatnam Port in the next phase.